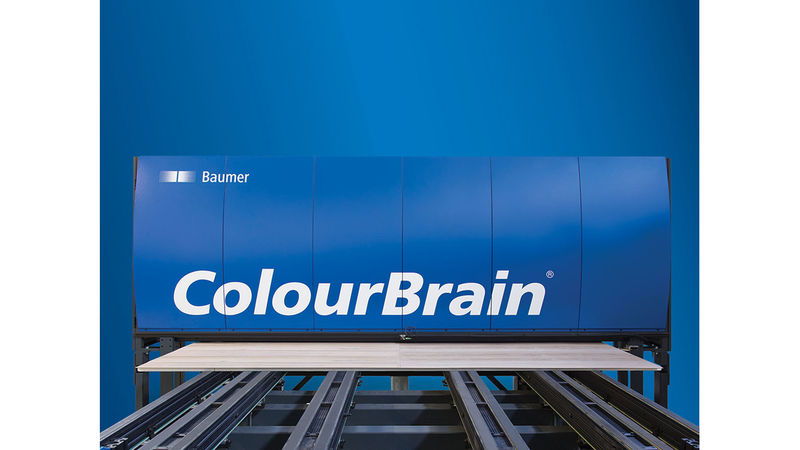 The ColourBrain® DigitalPrint 4.0 inspection system is used in a wide variety of industries - applications include single-pass printing on flooring planks, packaging, textiles and film with variable motifs and batch sizes. Defects such as head failures, nozzle defects, color inhomogeneity, stains, and substrate defects are reliably detected, classified, and assigned to the cause in the process. The results of the evaluation are transmitted in real time to the printing system and can be used for cleaning or compensation measures. During the evaluation, it is additionally assessed whether a detected defect is disturbing or lies below the human perception level. The aim is to avoid unnecessary production stops and the associated loss of productivity. Herewith, Baumer uses a completely new approach for a safe defect detection. During the evaluation new algorithms compare characteristic print features and color ranges with a digital twin.